Saudi Arabian teaching scholar Amnah Madkhali discusses her journey to self-discovery. “As women I am expected to get married and have children. This is like an expectation and a dream at the same time. I have been so fond of children ever since I have known myself. I raised all of my sisters and brothers. Then came the time that I decided to get married and have my own children. I ended up having a divorce because the guy I got married to did not want any children. That was like my idea of life. I got married after a while, to another guy, wanting to have children. I got another divorce because the guy was not suitable for me. I had to put up with him because that was my dream. Then came the moment that I decided to change my life. Why should I live with someone I do not like just to have children? If I am destined to have them I will have them. If it is not, I will take another road. I focused more on my job. I decided to develop myself, to work on my character, to go wherever it takes me, to go just to change my world the way I want to change. To have this affect on this the world around me. And that is what I did by coming here. I had this opportunity to leave my country for the first time. To leave my family whom I am very attached to, and my nieces and nephews who I considered as my own children, just to be here. To learn more ideas, and my own project to go back home and change the world. It is going to be a small change, inside my classrooms with the children I am working with, I decided that they can be my own children. And I decided to raise them up and to teach them, educate them until they graduate. 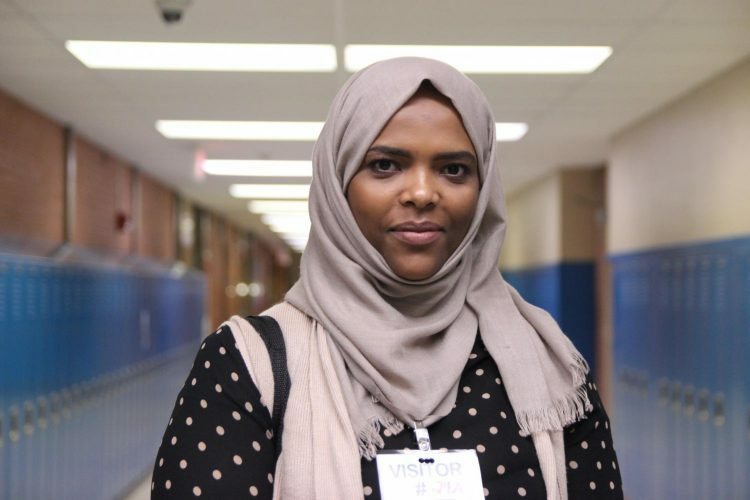 Amnah Madkhali is part of a group of four Khbrat SUMMIT teacher scholars from Saudi Arabia who have been working alonside Kansas State University in order to gain insight on the United States teacher preparation, curricula, and policies. These scholars spent four weeks at Washington Elementary and Junction City Middle School respectively, and began their obersavtions at Junction City High Shool beginning on November 5, 2018.